Q. 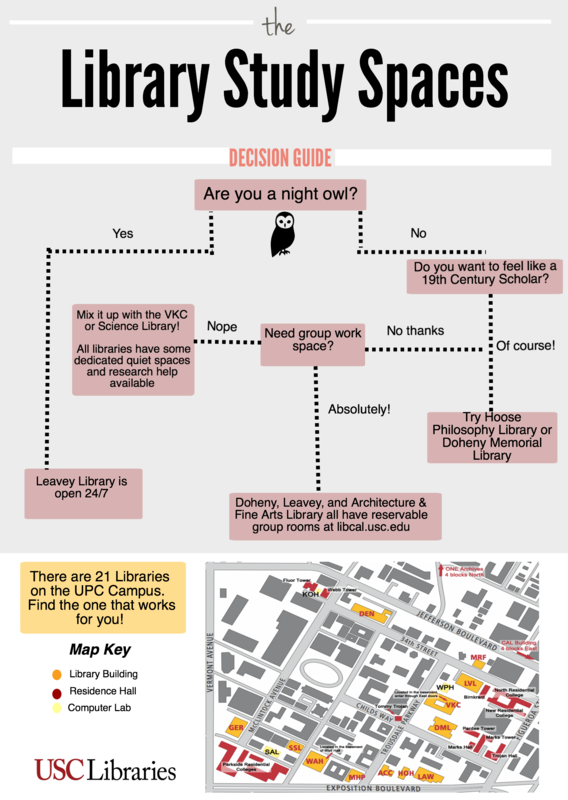 Where are the best places to study in the library? Each USC library has a variety of spaces for individual and group study and the best place to study is going to depend on your personal preference. Many libraries have rooms you can reserve for group study or other events. Use the "amenities" checklist to refine your search for spaces that have whiteboards, coffee nearby, and other attributes.